Bonus Material! No game footage this time. Not even kinescope. This is some solid color tape that was brought to my attention by twib77 (yet again!). 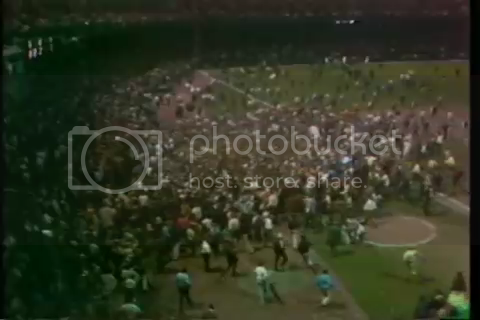 George Kell and Larry Osterman of WJBK are giving viewers the inside-the-locker room celebration after the Tigers clinch the 1968 American League Pennant. 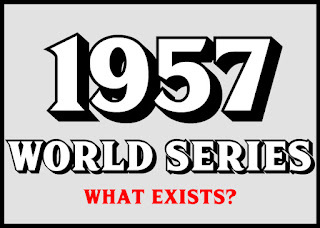 The Tigers clinched in dramatic fashion on September 17, 1968 vs the New York Yankees. Joe Sparma, who had been relegated to non-use after a public confrontation with his manager was given a spot start. He twirled a gem, only allowing 3 hits through the first 2 innings. With 1-0 lead, Sparma yielded 2 hits and a run. Al Kaline would pinch hit for Norm Cash (that's like using a bazooka for a rocket launcher) , Bill Freehan would follow with a hit and Gates Brown with a free pass before Don ".178 hitter" Wert would slap a single to RF and drive in the pennant clinching run.